It looks like Asus is all set to refresh its thin and light Ultrabook line-up as Intel's Ivy Bridge chips hit the production line. The Verge has managed to nab itself the spec sheets which detail exactly what upgrades the 13.3-inch Asus Zenbook UX31A and 11.6-inch UX21A will offer. The two new models will replace the existing Zenbook UX31. 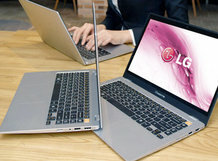 The highest spec model will come with 1920 x 1080 resolution on an IPS display, while there are various configuration options for the inside, from Core i3 up to Core i7 on the Ivy Bridge processor front. There's also a choice between 2GB and 4GB of 1600MHz DDR3L RAM, Intel HD Graphics 3000 card and a SATA III SSD to satiate all your initialisation needs. Port fans will welcome the SDXC card reader, two USB 3.0 ports and a micro HDMI-out, while connectivity aficionados will be pleased to hear there's Bluetooth 4.0 on board, as well as Wi-Fi and Intel's Wireless Display media streaming tech too. It's impossible to accurately predict the battery life on these unannounced Ultrabooks, but it looks set to be around six to seven hours on the UX31A and about five hours on the smaller UX21A. We're glad to hear that Asus isn't messing with the Ultrabooks' looks too much, as they're already stunners. 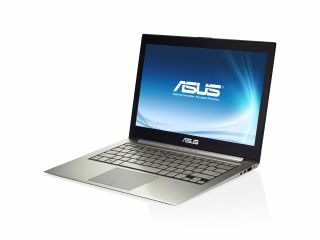 No word on the updated Asus Zenbook UX31A release date yet, but the last we heard was that the Ivy Bridge chips were heading for a June release, so we'd expect to see these Zenbooks not too long after that.